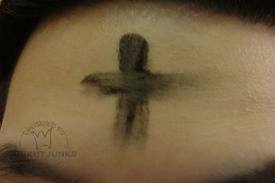 As we approach the season of Lent, it is so easy to see this time as one of self-deprecation and loathing. It is unfortunate that this wonderful season has become such a time of spiritual isolation in which we feel ourselves so unworthy of approaching the throne that we put ourselves in to a sort of self-imposed isolation. We remain with our faces hidden from God while we await the celebration of resurrection which brings with it our assurance of salvation and a sense of purification that allows us to turn, even if ever so slightly, back toward God. It is as though we give ourselves no permission to celebrate the resurrection until the official day on Easter and so, until that day, we heap the ashes upon our heads on Ash Wednesday and wait in the darkness for the light of when the Son again rises. I think it is always healthy to question things. Whether it is something as deep as the root of our own faith or something as simple as why we have the routines in our lives that we do, it is good to be inquisitive. This being the case, it does us good to question if such an attitude toward Lent is really the right one. If God raised his Son so that we could be reconciled to him and not have to face isolation from him, then are we really doing ourselves any favors, or even doing the will of God, when we exile ourselves from God? In my humble opinion the answer would have to be a resounding “No!” What if, instead of heaping ashes upon our heads and trying to be contortionists as we flog ourselves, we see this season as a wonderful crescendo leading up to the greatest celebration of all? What if we see this time as a build up to ultimate reconciliation and use it to practice so that when the great celebration is upon us, we will recognize it for what it is? The hermit, all day and all night, beats his head against a wall of doubt. That is his contemplation. Do not mistake my meaning. It is not a question of intellectual doubt, an analytical investigation of theological, philosophical, or some other truths. It is something else, a kind of unknowing of his own self, a kind of doubt which undermines his very reasons for existing and for doing what he does. It is this doubt which reduces him finally to silence, and in the silence which ceases to ask questions, he receives the only certitude he knows: the presence of God in the midst of uncertainty and nothingness, as the only reality . . . . Beyond and in all this, he possesses his solitude, the riches of his emptiness his interior poverty: but of course, it is not a possession. It is an established fact. It is there. It is assured. In fact, it is inescapable. It is everything – his whole life. It contains God, surrounds him with God, plunges him in God. For each of us, may this Lenten season be a beautiful time of reconnecting with God and arriving at a point when God is our life – containing God, surrounded by God, plunged in God. This entry was posted on Thursday, February 23rd, 2012 at 4:29 pm	and posted in Uncategorized. You can follow any responses to this entry through the RSS 2.0 feed.